The iPhone SE continues to be a hugely popular smartphone. This entry-level device was first announced by Apple back in 2016 and offers Apple fans the chance to own a new iPhone at a much cheaper price. However, since it was released Apple hasn’t given this lower-priced device a refresh and that’s something many would like to see happen sooner rather than later. Rumours are now beginning to grow that Apple could hold a launch event in the coming months which may include updates to the iPad, AirPods and a possible iPhone SE 2 reveal. Now, to fuel speculation even further, a video has appeared online showing how this new Apple phone will look and, if it turns out to be true, fans could be in for a treat. Posted on YouTube by ConceptsiPhone, the short clip reveals a device with a stunning edge-to-edge screen and iPhone X-style notch at the top of the display. The SE 2 concept is also covered in glossy glass and appears with colour-matched aluminium band which sweeps around the sides of the display. A single rear camera is positioned on the rear case and there’s no sign of a fingerprint scanner – suggesting Apple’s FaceID could be inbound. 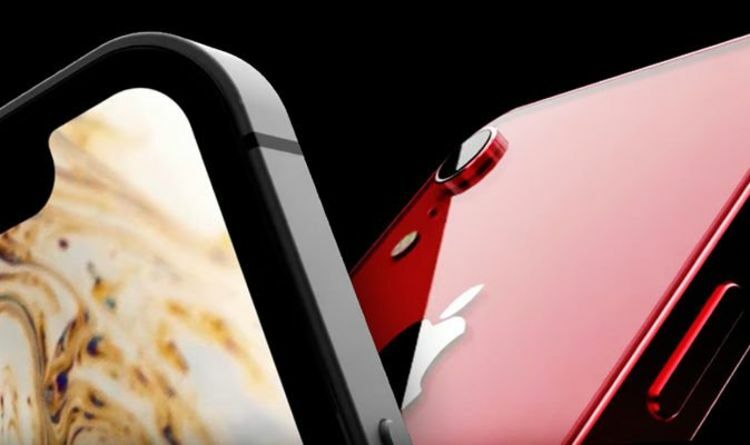 Similar to the new iPhone XR, the video displays a range of colours which include red, white, gold and black. The final frame says “Coming Spring” which is when some have been suggesting Apple will lift the lid on this phone. Although there’s no mention of specific specs, Apple could increase the screen size from 4-inches to 4.7-inches and pack a faster processor and more memory inside the phone. If the glass finish does appear then that could also mean wireless charging is coming to this cheaper phone. Since the video was published earlier this week it’s been viewed over 230,000 times with many posting comments suggesting it would be a hugely popular upgrade. We’ll have to wait and see what happens in the coming months but with Apple looking to boost sales of its smartphones, there’s a possibility that these latest rumours could become a reality.